Dr. McDougall's Right Foods are Natural, Heart Healthy & Vegan. They meet guidelines for heart healthy foods low in fat, saturated fat, and cholesterol. Eating a heart healthy diet may reduce the risk of heart disease. It's also a great way to stay active and lean. Microwave on high 1 min. & 45 sec. Microwaves vary-adjust time & power as needed. Stir well around cup's bottom edge. 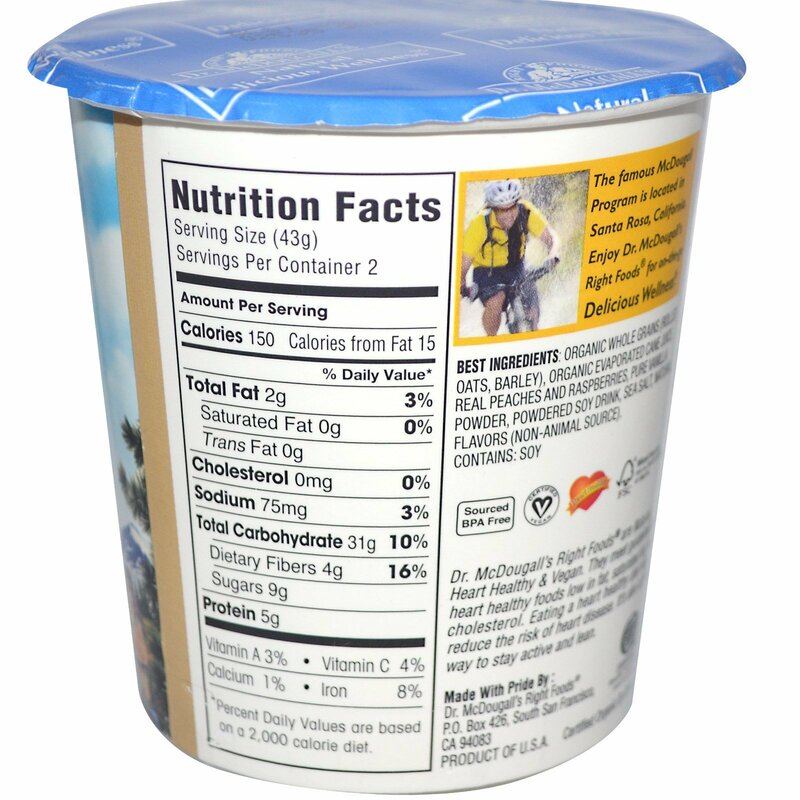 Close lid and cover with spoon. Let stand 5 minutes. Stir again & enjoy! Boiling Water Directions: Follow instructions above except add boiling water to fill line instead or microwaving. 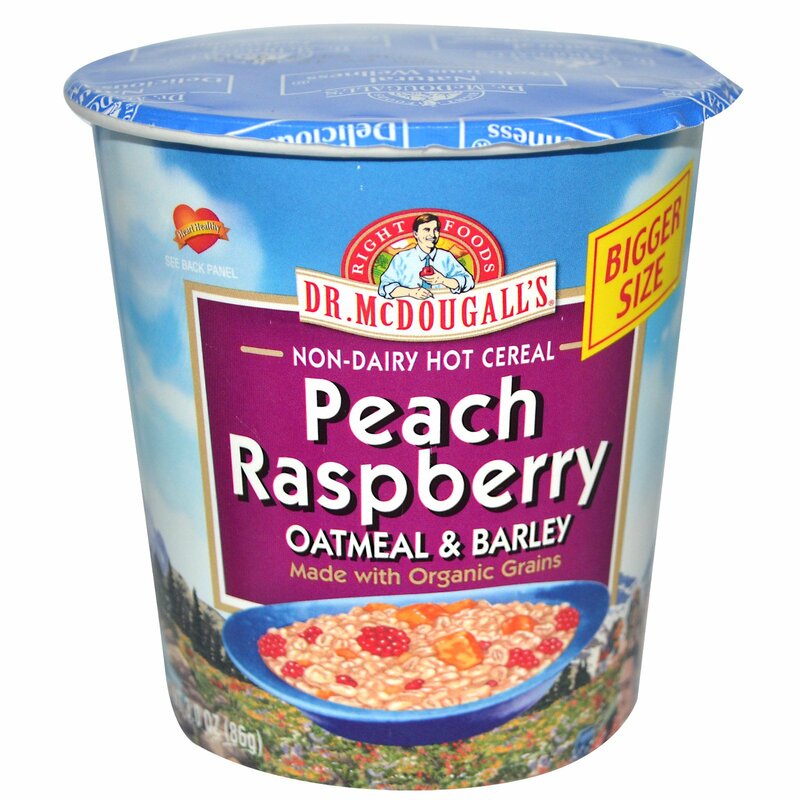 Organic whole grains (rolled oats, barley), organic evaporated cane juice, real peaches and raspberries, pure vanilla powder, powdered soy drink, sea salt, natural flavors (non-animal source). Caution: Cup & food will be hot.